Kind of in the middle of the James Bond/Man from UNCLE and Danger Man (in the UK) came Johnny Rivers' 1966 hit <Secret Agent Man>. Written by the duo P.F.Sloan and Steve Barri, it was Rivers who took it to the top of the charts (#3). Rivers, along with Sloan and Barri, was under contract to Lou Adler of Dunhill Records. Curiously, once again, the Ventures again made the most of the times by recording this in addition to their James Bond Theme from back in '62. If you sense a certain similarity between the two songs (Bond Theme and Secret Agent), that's because ... well ... it's a life of danger. And that guitar is what danger sounds like. And because there is a certain amount of ... plagiarism (No... building on what came before). That said, seems to me that Johnny Rivers hasn't received the credit he's due. Don't forget: he's also the man who sang the (again #3) hit the following year: <Baby, I Need Your Lovin'>. There's an informative interview/article in Forbes magazine that provides some sense of the man and his life. Sloan himself tells his version of how things went down here. Most folks think that Rivers did it best. Growing up, as a good liberal child in the late 1960s and early 1970s, the FBI was the enemy. 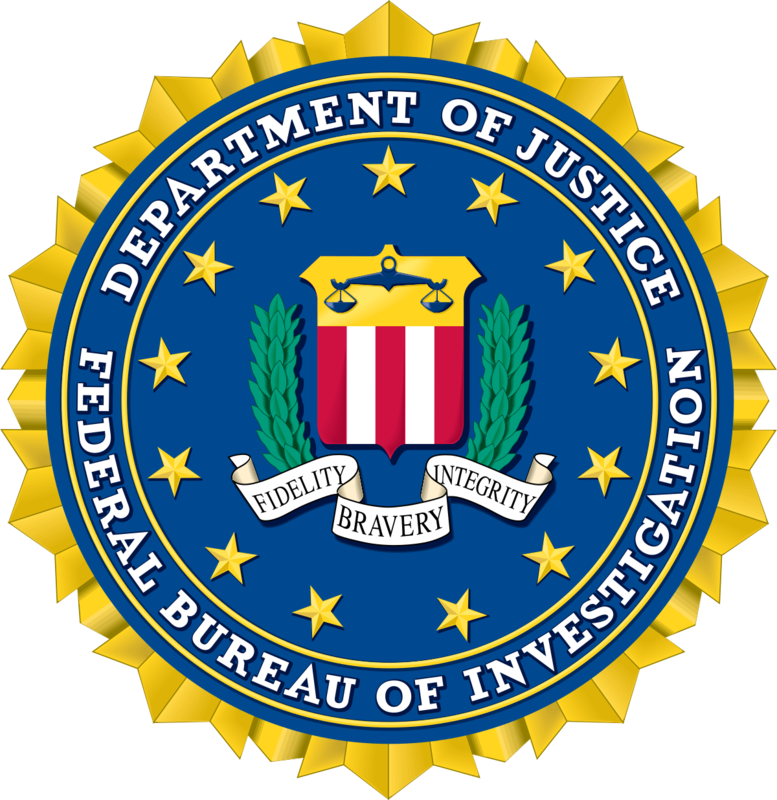 Under the leadership of director J. Edgar Hoover, and after his death, the FBI was instrumental in trying to suppress the civil rights and anti-war movements, discriminate against gays, and generally act as a tool of the “Establishment.” I personally have no problem with enforcing the law, if done fairly and within the bounds of the law—and so I have no problem with the FBI’s anti organized crime or terrorism work, for example—but with respect to the civil rights and antiwar stuff, they definitely crossed the line. Which may be why, in part, it wasn’t hard to watch The Americans, and find myself sorta pulling for the Russians, even though watching the show demonstrated that they were also pretty horrible. It is interesting, though, that now it is the “leader” of the American government himself who is the biggest critic of the FBI, despite the fact that he appointed its director. And let me be clear—former director Comey deserved to be fired by whichever candidate won the 2016 election because of the way he botched the handling of the investigations of both candidates. But to have done so for the explicit reason of impeding the investigation into alleged conspiracy with Russia to influence the election is simply wrong, and probably illegal. So, it is amusing that these days, it seems like it is the liberal Democrats who seem to be bigger fans of the FBI than the Republicans. I doubt that the FBI is that big a deal in England, much as the band The Shadows was never that big a deal here. (How’s that for a clunky segue?) But in England, they were huge, with multiple hits, and lead guitarist Hank Marvin influenced pretty much every great English/Canadian/Australian guitarist, including Richard Thompson, Andy Summers, Brian May, Steve Howe, George Harrison, Neil Young, Tommy Emmanuel, Eric Clapton, Pete Townshend, Mark Knopfler, Peter Frampton, and Jeff Beck. Just to name a few. Ian Hunter opened his 1980 live album, Welcome to the Club, with a cover of the song, featuring his band’s guitarist, Mick Ronson, who has also been quoted as saying that Marvin and The Shadows were influences on him. (Both Ronson and Marvin appeared on Roger Daltrey’s solo album, One of the Boys, for what that’s worth). It is a great way to kick off a great live album that includes a bunch of Hunter’s and Mott the Hoople’s best songs (and some other interesting covers). I remember playing this album more than a few times at WPRB. The aforementioned Brian May also covered the song on a 1996 tribute album to Marvin and The Shadows, as have others. James Bond, The Man from UNCLE, Our Man Flint ... the 60s spawned an interest in spies that played out in various TV and movie productions both in the US and in the UK. Way out in San Fransisco, things were headed in a different direction. The "kids" out there tended to look askance at government antics - establishment lies and secrets. Some thumbed their noses, some were outright in-your-face hostile, in the streets protesting the government, while others chose to share their anti-government message in lyrics and song. Among those choosing music was Jefferson Airplane. Check out the lyrics for We Can Be Together. 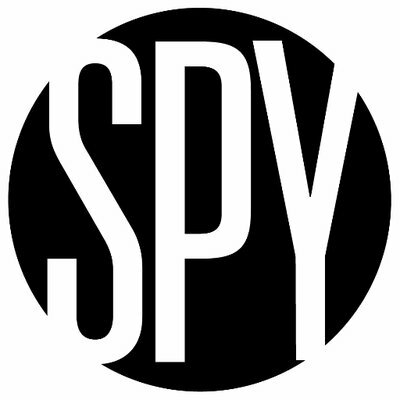 Just a few weeks back, J.David noted the passing of Marty Balin, but in doing so, probably didn't anticipate that someone else would bring it back around in the Spies/Secrets theme. Jefferson Airplane Takes Off. One of the earliest albums I owned. My musical proclivity then, as now, was pretty eclectic. Probably my favorite from this, their first album is <Let's Get Together> - a full on plea for the hippie-dom philosophy of "we are all brothers (and sisters)". After that track? It's a toss-up between <Come Up the Years> and <It's No Secret>. <It's No Secret> isn't a song about spies. It's a plaintive Marty Balin love song. This, of course, before Grace Slick. And there doesn't appear to be any spying going on here. After all "it's no secret". This is nothing like the Beatles <Love Me Do>. The chord changes are beyond the Beatles' I-IV-V, and the notion of love that the song expounds is beyond the innocence of the "Love Me Do" type. Daa-daaa-daa-daa-da-da. 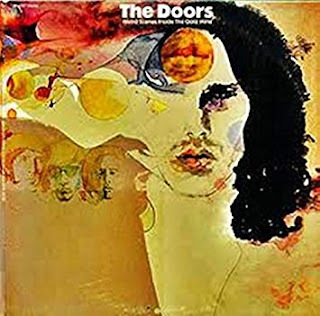 I began to sing the guitar part that frames this song within a second of seeing the theme and, despite having done the Doors twice before, here and here, I knew, instantly, it was Doors-time again. Mind you, in my house it is always Doors-time, but, on this occasion, rather than again preach how wonderful I was/am to be such a precocious acolyte, even before I began to shave, this is a confession more to deprecate that sense of special we all, if secretly, have about ourselves. Especially when looking back with rose-tinted. So yes, I bought 'L.A. Woman' in the year of release, but, apart from THE single, I hadn't actually picked up or heard much else about the band in the intervening years. OK, maybe THAT single as well, but hardly die-hard fan. I think it was probably half a decade later that I heard the song featured today, and, rather than having spent the intervening years hoovering up all their early product, it was from that staple of a civilian, a greatest hits selection, albeit neither labelled as hits and with a groovy cover and title, Weird Scenes Inside the Goldmine, the title being part of Jim Morrison's rambling discourse, midway during 'The End'. "I know your deepest secret fear. I have never been much for live recordings, and so it was only during the penning of this piece that I found myself sufficiently roused to look for a live version, especially as it now seems that every Door's concert ever has been made available. It's fair, I suppose. But, in my searches I came also upon this, an alternative version, presumably ditched in favour of the one used. I think they used the right one.